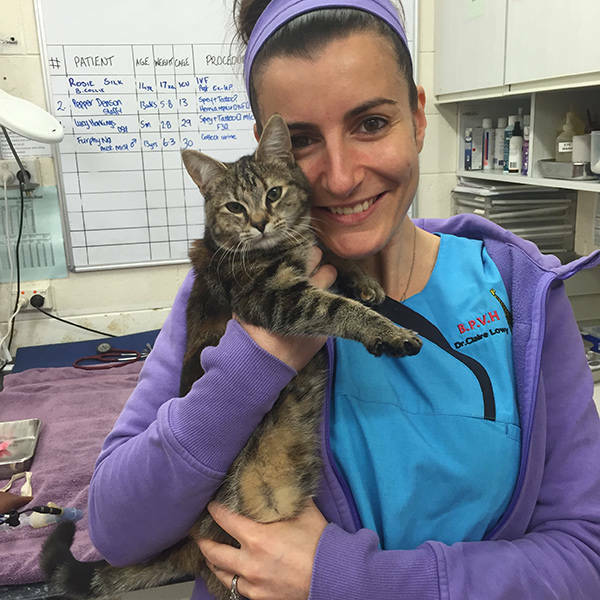 "I always try to make the consultation as pleasurable and relaxing as possible for both the animal and the clients." How do I re-introduce my duck to the flock after an injury whilst she's recovering from surgery? Thanks Claire! A question from lizzymarsh - do chickens go to the vet? Do chickens go to the vet? 1. My friends come over with their toddlers, what is your best tip to keep them safe with my dog? 2. My child is scared of dogs - how can I help him overcome this fear safely. Thanks! Having a pet can be expensive. My question is: How do you manage the difficult situation when an owner cannot afford the treatment that in your professional judgment is the preferred course of action? 1. " My friends come over with their toddlers, what is your best tip to keep them safe with my dog?" 2. " My child is scared of dogs - how can I help him overcome this fear safely?"